1887/1950, Mint collection as the part of the famous specialized Alex Petrie collection, on pages with handwritten sundry details, sketches etc., from 1887-91 King Chulalongkorn set with a lot different 1889-1899 overprinted stamps, with varies types including 1889/90 1a. on 2 a. (SG 20-22), eight copies of the 2 a./3 a. (SG 26/27) optd. types 1/2 resp. 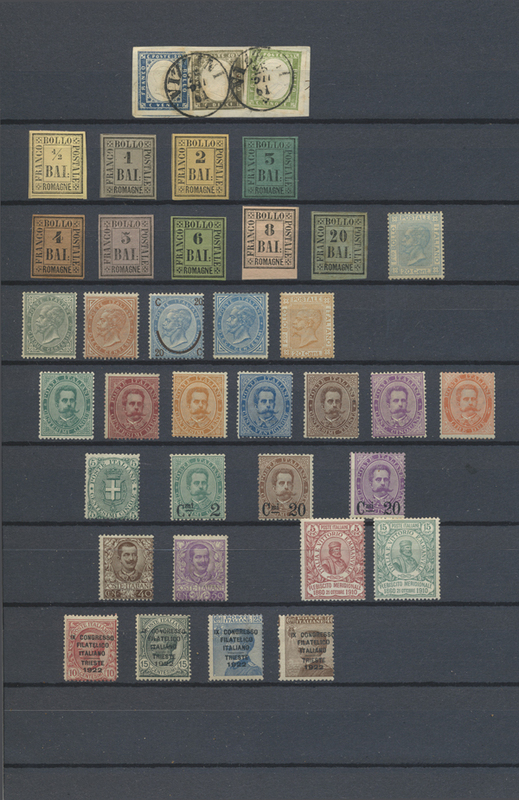 subtypes and small type-set surcharges (SG 29/30), etc., 1894-99 series incl. 1a. 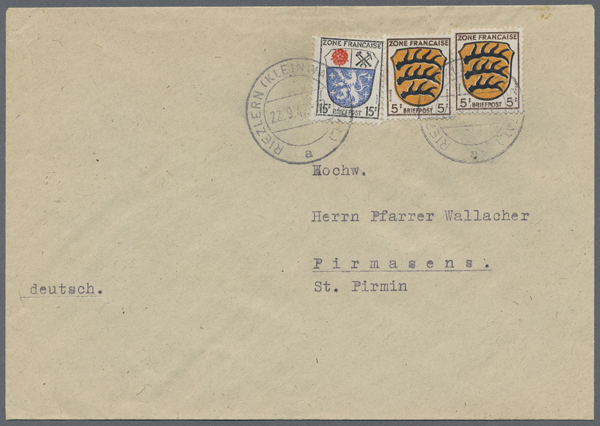 with Roman Atts (SG 54h), pairs: of 1a. on 12a Roman "att" with normal (SG55h+55), 2a. on 64a. 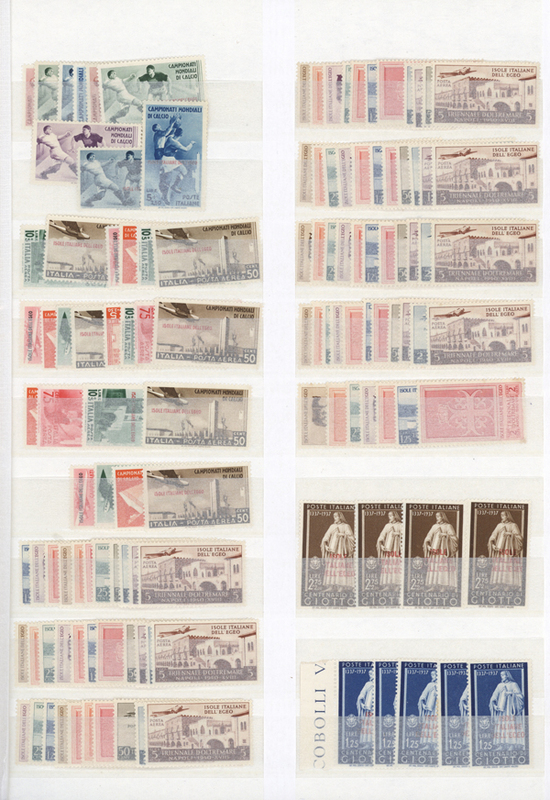 Roman "atts" with normal (SG56+56h), and many others, followed by the 1899-1904 and later Definitives and Provisionals, complete sets mostly, plus varieties, types of overprint, pairs etc., up to 1950 'King Bhumibol and Palace' set. A valuable, specialized and almost fine collection as a result of a labour of love, for the amateur of the genre (SG about ₤20,000).